Welcome to my blog over the OWH Memorial Day Sketch Bloghop 2012. I am so excited to participate in this event for the third time. I hope you will enjoy today's bloghop and get inspired to make cards for the Troops and their families while remembering those who sacrficed their lives for our freedom. Please click the above banner to start the hop. I used OWH S&S Sketch #90 for my card. Stampin' Up! new color ink "Midnight Muse"
Finally, I have a giveaway for one of lucky commenters to celebrate my 3rd Blogoversary and OWH Memorial Day Sketch Bloghop. Giveaway consists of Stampin' Up Designer Series Paper, a stamp set, some seambinding ribbons. A winner will be announced on May 28, 2012. Please leave your comments and contact info. on this post. Beautiful card. Love the monochromatic look. This card is gorgeous! i love the colors and your take on the sketch! Love the brayering technique with that background. I think the sketch was perfect for the card! I love blue and this is just stunning! The detail on the butterfly is amazing. I will return to read your lesson. Thank you. Seongsook,this card is beautiful, which your cards always are. Thank you for sharing today! Gorgeous monochromatic look. I love that new ink color! Such beautiful colors. You always do such fantastic work. Such a pretty card. Love the color and the beautiful butterfly. So beautiful. That butterfly is stunning. WOW are you good with BLUES!!! GORGEOUS card!! Seongsook your card is BEAUTIFUL, I love the colors and the sketch layout. It's so very elegant! Beautiful card! I had to pin it! Thank you for your support of OWH and for hopping with us today! Beautiful card, Seongsook! I love the crackle on the butterfly! That has got to be the prettiest butterfly card I've ever seen! Lovely!!!! Stunning! This card has such a rich, sophisticated feel to it Seongsook. You've done it again... another amazing card design :) Thanks for joining in the Memorial Day hop and for supporting OWH. so beautiful, I love the cracked glass butterfly. Wonderful job! That butterfly looks just like it could lift-off! ooooh! Those blues are spectacular! Beautiful card. Love the technique you used on the butterfly, gorgeous blue color too. Simply beautiful! I love the crackle butterfly. Beautifully done! Thanks for the inspiration. Beatiful card-- love the butterfly. This card is just stunning! Not only do I love the monochromatic feel, I love how the placement of the butterly takes your eye right to the sentiment. Beautiful colors and card! I love the butterfly. Thank you for sharing. Your cards are always so beautiful. Thank you for the link to the background technique. Totally gorgeous. Love it. Pat K.
As usual your card is stunning!!! Love the butterflies and the new ink color..great combo! This card is immediately stunning! Love the paper! And the butterfly is gorgeous! Very nice card! Thanks for your support of OWH! And thanks for sharing this gorgeous card! I just love your card. I love the blues. Really pretty! Love the turquoise! Lovely card - yours are always so pretty and prefectly finished. Your card is just beautiful! Love the color and all the detail. 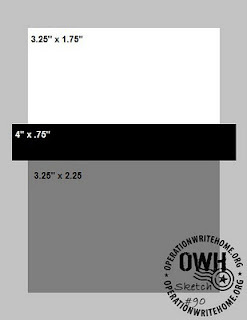 Thanks for supporting our troops and OWH. Seongsook, your card is simply brilliant. I love it and your take on the sketch is just perfect. I am inspired to try your design with one of my collage stamps. I think it may just work. Have a great Memorial Day weekend! WOW, love the colors and special touches of your card! Gorgeous! Seongsook, your cards are always beautiful! The elements on this card are stunning! I love all your cards but the blue butterfly is just so elegant! 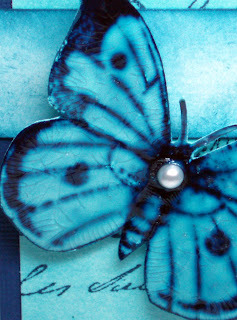 The monochromatic blues and the butterfly are totally gorgeous! What a fantastic card. Those blues are so amazing! Love the pearl on the butterfly. TFS and for supporting OWH with all your beautiful cards! Have a great weekend! The color shading on this is phenomenal! I'm not a "butterfly person," but you may have converted me. The crackle finish on the wings is a stroke of genius! Thanks for participating in the blog hop and for your continuing support of our troops. Your cards are always so beautiful! You have a real flair for color. I signed up to follow your blog. Wow! Your cards are always gorgeous & this is another one! I love the new Stampin Up ink color! Course, blue is my favorite color, so can't go wrong there. :o) I love how you did the crackle on the butterfly. Wonderful job & TFS. Gorgeous card! Love your butterfly!! Beautiful card full of stunning details, LOVE it!!! Others have already said it, but that card is STUNNING! Not only is the color amazing, but I love how you elevated the sketch and made it more engaging by adding that beautiful butterfly! Your cards never disappoint - sooo sooo STUNNING! thanks for your continuing support of OWH. Really pretty with the butterfly and colors. Love it. beautiful colors in your card - I just made a card with that stamp - it will be posted sometime this week. Beautiful card! I love the butterfly!! Beautiful card. Warm and soothing. Love the butterfly and paper. Very pretty card. Absolutely stunning! I love the blue tones and butterflies. What a gorgeous card! I love the blues you used and the stunning effect you created. Thank you for sharing! What a beautiful card! The monochromatic look is a real change from most of the other blog cards. It makes a nice visual "rest" for the eyes! Thanks for offering blog candy, too. That looks like a GREAT set of Stampin' Up stuff! The crackle butterfly is fabulous! thanks! Seongsook, like all your cards, this one is just beautiful!I LOVE the colors and the crackle butterfly! Love the teal-blue colour you used. Very pretty. What a beautiful card!!! Stunning!!!! 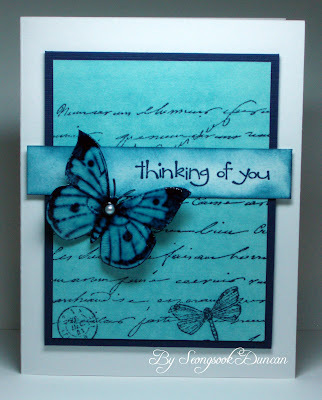 Beautiful butterfly card--I like the new ink color. Great blog candy -- what a wonderful gift for someone. Elegant all the way around...and thanks for sharing the technique. Great card. Love the color and the butterfly. What soothing colors you chose! This is a beautiful card! Congrats on your 3rd Blogiversary! You are so creative and make the most beautiful cards, Seongsook! This one is simply stunning. Congrats on your blogiversary, too. WOOHOO! Thanks for supporting OWH! Always look forward to your cards. OMGosh!! This is stunning!! I also signed up to follow you! Thanks so much for ALL your amazing work for OWH--you always do such an amazing job on your gorgeous cards!! Oh, thanks for the candy, too! I love the colors and the butterfly on your card! TFS! Gorgeous card! Love the crackle accents on the butterfly! Just wanted to stop in again and thank you for the "ticker" idea at the top of your blog! I have never seen one and now I have it on my blog to keep up with my OWH progress!! Thanks!!! Great project!! Love the coloring.